Bestel John Green Set voordelig bij de grootste kinderboekwinkel van Nederland. Levertijd 1 dag. This must-have collection is the ultimate addition to any book lover’s shelf. 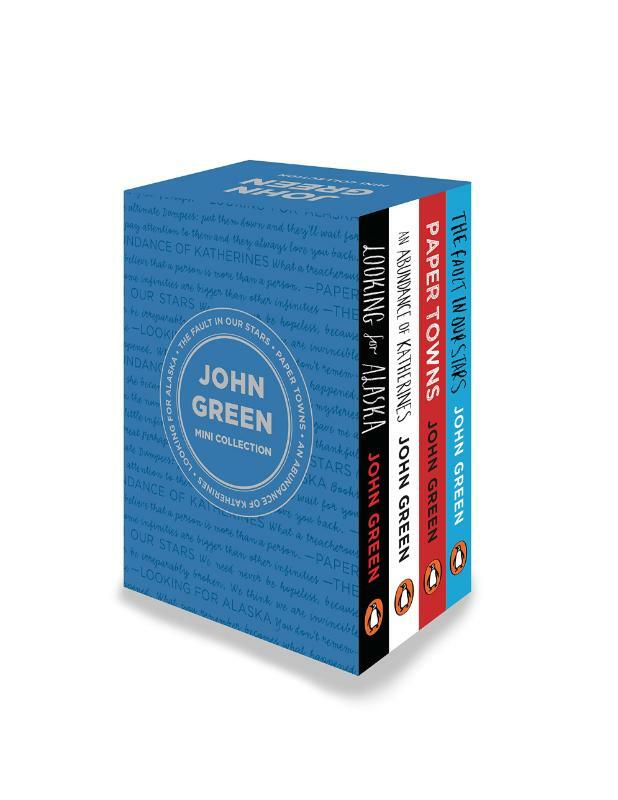 The complete and unabridged Penguin Minis editions of four critically acclaimed, award-winning modern classics by #1 New York Times bestselling author John Green—Looking for Alaska, An Abundance of Katherines, Paper Towns, and The Fault in Our Stars—are now available in this beautiful box set, a collectible and conversation-starter now available for the first time anywhere in the world. The Penguin Minis revolutionary landscape design and ultra-thin paper makes it easy to hold in one hand without sacrificing readability. Perfectly-sized to slip into a pocket or bag, Penguin Minis are ideal for reading on the go.